This brand new, never-lived-in beauty is perched on a high floor with over 55 feet of frontage overlooking iconic Central Park. 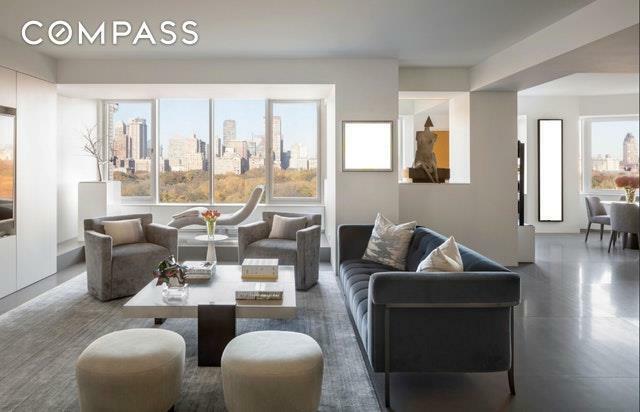 A recently completed extensive renovation by a leading designer has been performed to the most exacting standards to deliver what has to be one of the most beautifully executed contemporary homes on the Upper East Side. 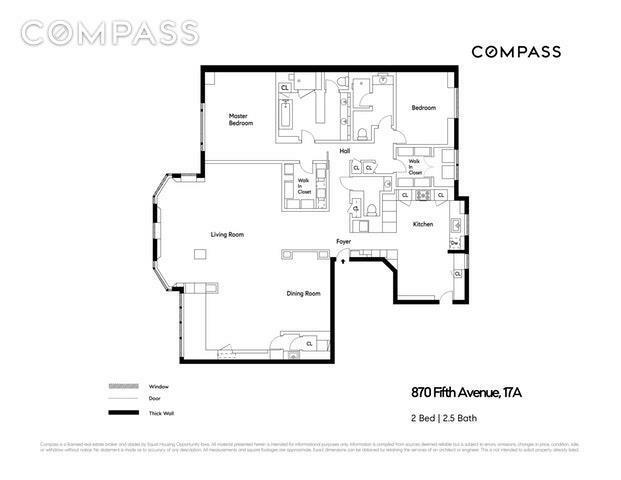 Currently configured as a grandly scaled two-bedroom home, this apartment features generously scaled, gracious entertaining space with an open, loft-like layout. Two living areas are both impressive and there is a large dining area too. An elevated 'solarium' with green-house-style windows overlooks the park, the perfect moment for a good book. The eat-in windowed kitchen is immaculately attired with sleek Bulthaup cabinetry and Gaggenau and Miele appliances. A built-in banquette is perfect for an invigorating breakfast. A powder room is encased in large slabs of rare marble.The Master Suite - also overlooking Central Park - features hardwood floors and an en suite bathroom clad in large slabs of the most extraordinary imported marble. The custom-built soaking tub is crafted out of marble too. A wet closet and large shower are discretely separated in their own enclosures. Fixtures are of the very highest order, including Dornbracht and Toto. A large, meticulously outfitted custom walk-in closet awaits. A second, large walk-in closet is down the hall in what could be used as one large twin-bathroom, twin-closeted grand master suite. The second full bathroom is equally impressive with large slabs of another exotic marble. A second bedroom/study has a large window that draws in Eastern morning light. Throughout the apartment, gleaming polished granite floors immediately suggest a contemporary feel. Extensive custom millwork features throughout: simplicity always requires the most skilled craftsmanship. A Miele washer/dryer is a rare bonus. All HVAC systems and infrastructure including fully automated shades and ducted Central Air-conditioning have been installed. Located in the most prime of all Manhattan locations just south of the Frick Collection, this white-glove 1948 Landmark features the best of traditional high services, a new health club, a Bicycle Room, Valet Services, and a Roof Deck, moments from the best retail, restaurants, and entertainment New York has to offer. 50% financing is allowed, there is a 3% transfer fee, and Pied-a-terre's are allowed.